"...the works of today's avant-garde are the poisoned fruit of a spiritual decadence..."
I'm so happy Pietro Annigoni thought that way, for it is because of his strong views on abstract art that he enriched the world with his portrait of Queen Elizabeth! It's the painting that made him world famous; a romantic portrait of the young Queen in her Garter Robes, painted in 1956, clearly showing his modern-realist tendencies, it still stuns and endears the viewer. 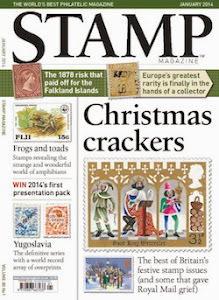 No wonder then, that it is used so often on stamps as well! And almost always to great effect. 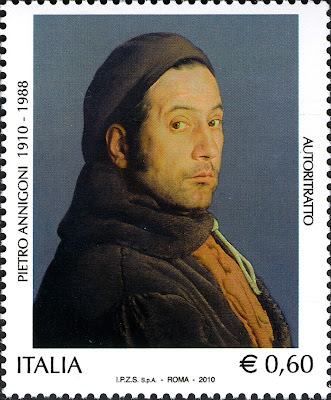 Earlier this year, the UK finally joined the long list of countries having depicted Annigoni's portrait on stamps. As with so many others, this British stamp zooms in on the portrait itself, but the whole painting is worth seeing as well, because it oozes a royal magnificence. 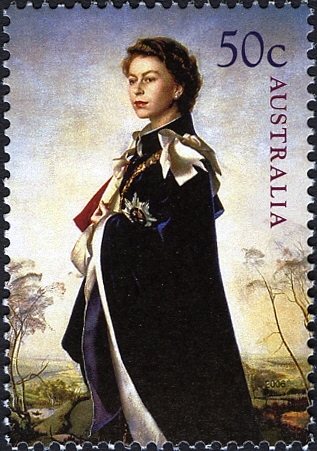 Luckily, we have Australia who issued a stamp showing the whole painting in 2006, marking the Queen's 80th birthday. 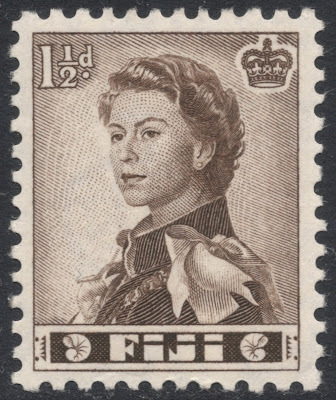 Next to the Wilding and Machin portraits, that of Annigoni will go down in history as one of the famous QE2 definitive portraits. I believe Fiji was the first to show it on some of their low-values definitives, which were issued in the same year the painting was painted! And what a beauty it is, recess-printed an' all! 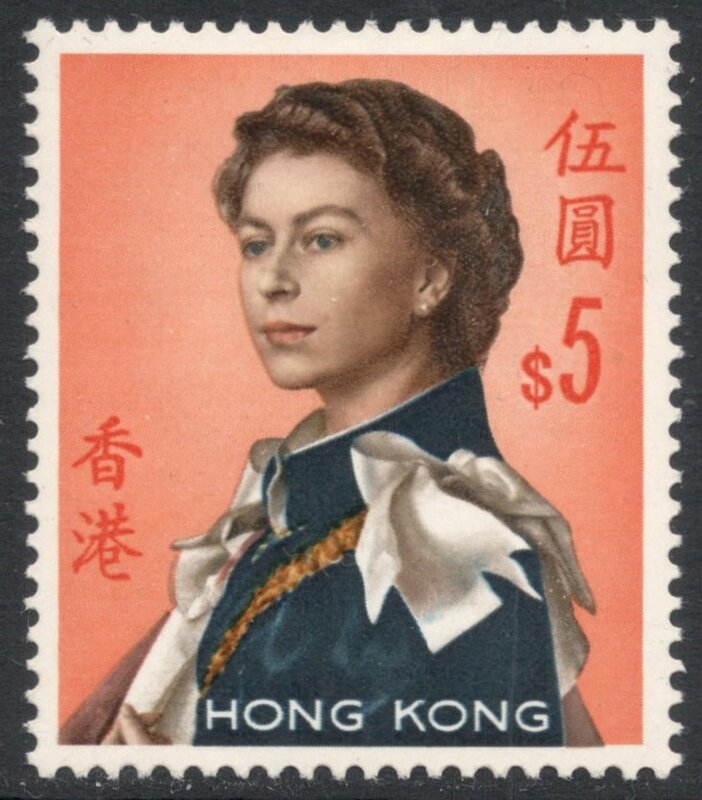 But it was of course Hong Kong which made the portrait truly famous, and the high values of the set are rightfully regarded as pure gems, being printed brilliantly in full colour. They are also quite collectable, with changes in paper, watermark and gum. And there are loads of missing colours and inverted colours to collect as well, which make for visually rather attractive items, albeit mostly rather expensive. But actually, I like the low values even better. 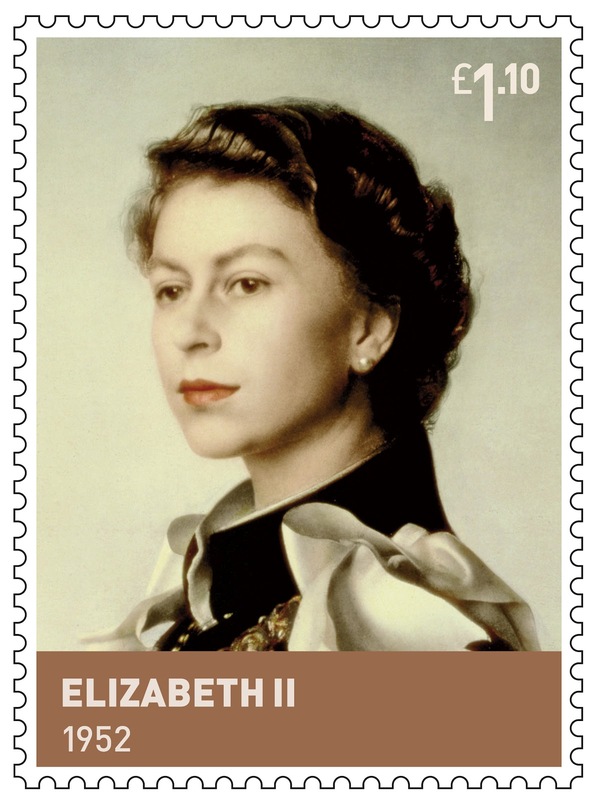 They're printed in monochrome which does no harm to the portrait whatsoever, and they are in my humble opinion the most charming QE2 definitive set ever. Makes you want to throw away your Machins and Wildings and just solely concentrate on these! Or, well, maybe not, maybe just start yet another album, of Hong Kong QE2 definitives! Because Hong Kong issued so many QE2 gems, you could fill a whole blog post with them. Hmm, now there's a thought! These will not replace my precious Machins (nothing will), but I may just have to take up your suggestion and add a new album for some of these beauties. Good idea! 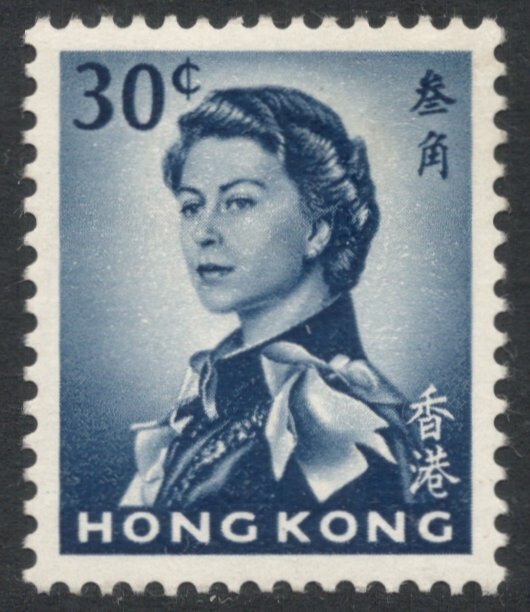 I'm still working on that QE2 Hong Kong blog post so soon you'll see so much more great ideas for definitive sets to collect, including of course some HK Machins, but then, you know about those already...!